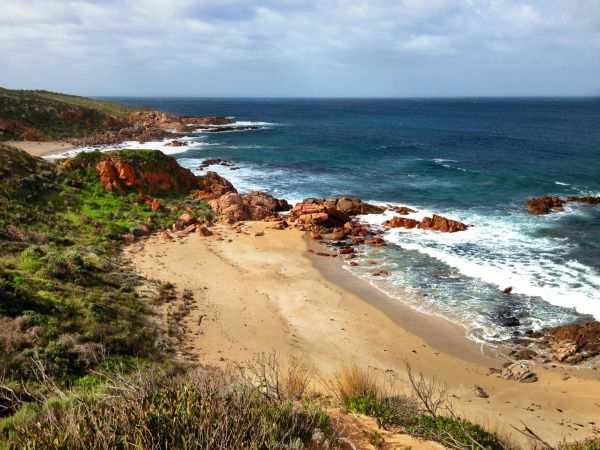 Some of the most beautiful beaches in Australia can be found on Yorke Peninsula. Whether you are searching for a quiet secluded cove with wide sandy beaches, or like to base yourself in a bustling beachside town, there is something for everyone. If you are swimming with young children, try Stansbury and Port Vincent along the eastern coast, or Port Rickaby on the west. These beaches are all very accessible, although you do need to be careful of the of the prominent rock flats along the shore at Port Rickaby. Also worthy of mention are Hardwicke Bay and Flaherty's Beach, both on the western side of the Peninsula. 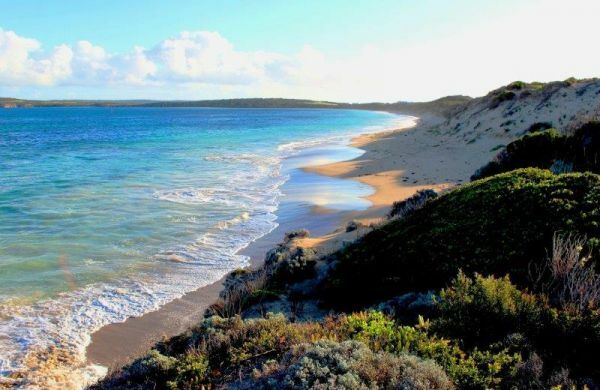 MARION BAY - both beaches are relatively safe, with deeper water off the bay beach in the east, while at Marion Bay shallow flats front the shore. 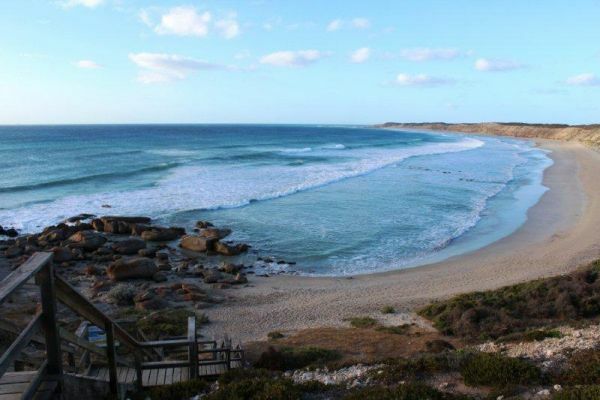 SULTANA POINT - this beautiful swimming beach is located just 5 minutes drive from Edithburgh. EDITHBURGH - the tidal pool, located on the northern foreshore, is the best place for swimming. 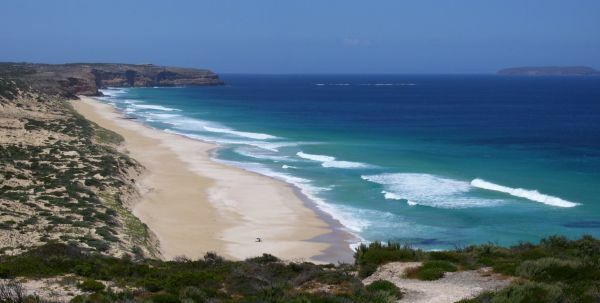 The beaches are generally unsuitable both owing to the rocks, shallow flats and boat traffic at high tide. CORNY POINT - three sandy beaches are found east of the town, accessible from the Lighthouse Road. These usually calm beaches can only be used for swimming at high tide. 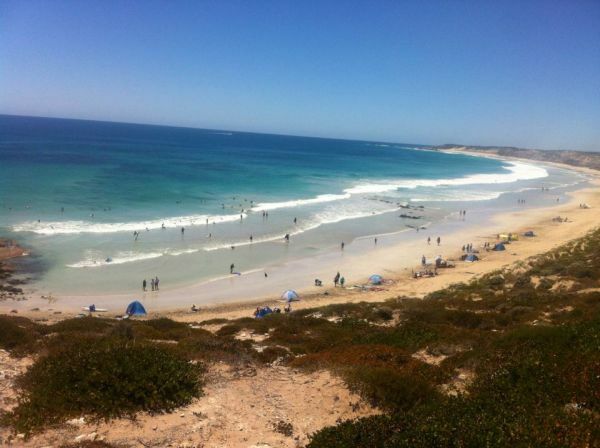 PORT VICTORIA - the jetty beach in front of the caravan park is the most popular town beach. Watch for the rocks and rock flats on most of the other beaches. 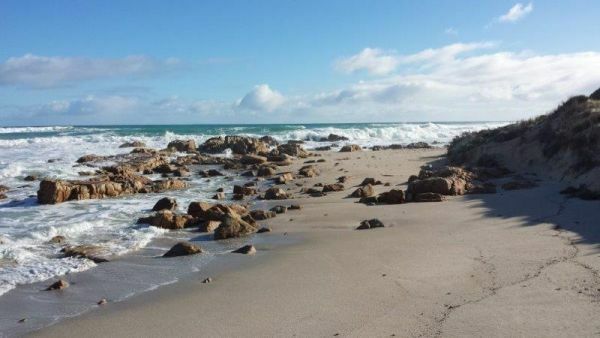 There are so many beaches to choose from, and it's important to be aware of the possibility of unstable cliffs, strong currents, slippery rocks, submerged objects and of course changing conditions. 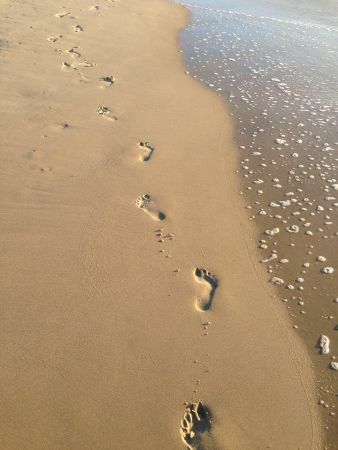 You can learn more about each of our beaches at the BeachSafe website. Our beaches don't have surf life saving patrols, so please be careful. Unless sign posted otherwise, these vehicles are only allowed to ride up the beach, not over dunes and other sensitive areas. Drivers must be licenced and vehicles must be registered. With bikes, helmets must be worn. In all cases driver, passengers and vehicles must abide by the road rules. Please also show respect for other beach users. Our natural coastal environment is not a playground for motor vehicles We treasure it as a habitat for our native creatures. The many species of plants help keep our coastal regions healthy for us all to enjoy. If you see someone doing the wrong thing and would like to report it, please contact the Police at the nearest police station, or phone 131 444. Help stamp out dangerous activities and senseless vandalism. It is illegal to have a fire on the beach, and offences can attract a $100 fine. It is possible that unseen seaweed can catch alight, which is extremely difficult to extinguish. It can smoulder for weeks, and creates risks for people, birds and animals. Click here for more information about camp fires. The beach is a great place to walk for both a dog and its owner but there are laws that apply, which are intended to ensure that all beach users enjoy the beach experience, not just dog owners. Non-compliance could incur an $80 on the spot fine for a dog wandering at large or $210 for more serious breaches. Further details can be obtained by phone Yorke Peninsula Council's Dog Management Officer on 8832 0000 during office hours. Beach nesting birds are some of the most threatened birds in the world. Their numbers are in decline as they struggle to find undisturbed space on beaches to raise a family. 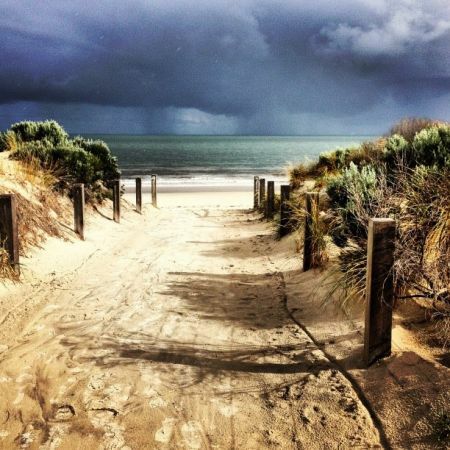 Yorke Peninsula's beaches provide vital nesting sites for several species of resident beach nesting birds. We are indeed fortunate to have such a rich and diverse environment and we ask you to join us in helping to preserve it. Nests will generally be located above the high water mark, or in the sand dunes, close to their food source, from late spring through summer, unfortunately when the beaches are at their busiest. The eggs are speckled and blend in with the sand to give protection against native predators, but it also means that they are difficult to see for humans and dogs who may accidently step on them. Frightening the adults off their nest can also leave both the eggs and chicks vulnerable. The tiny chicks are also incredibly vulnerable, they are well camouflaged and must wander along the beach looking for food. They'll be five weeks old before they learn to fly out of harm's way. The same issues also apply to human traffic, motorbikes and vehicles, so please be vigilant and refrain from driving on beaches during nesting season. While at the beach, or travelling around the Peninsula, keep a watch out for the bottle nose dolphins that visit many of our beaches on a regular basis. You may even spot a southern right whale. We also have visits from other species such as killer and sperm whales, and even the rare beaked whale has been spotted in our waters. State and Territory governments are responsible for conservation and protection of whales in coastal waters (out to the 3 nautical mile limit). This includes responding to strandings and entangled whales. If you think a marine mammal is sick or injured, report the matter to the Department of Environment, Water and Natural Resources on 0427 556 676. Here is a link to information on reporting marine mammal incidents.